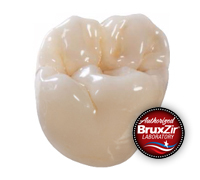 Send us an impression (conventional or digital) and we'll give you a free BruxZir crown for new accounts. There's no additional costs for model work, mount on articulator, or die trim. Fill out the form to get started.